This post is sponsored by Aroma Outfitters, but the content & opinions expressed here are my own. Essential oils are a consistent part of my life, but it wasn't always that way. 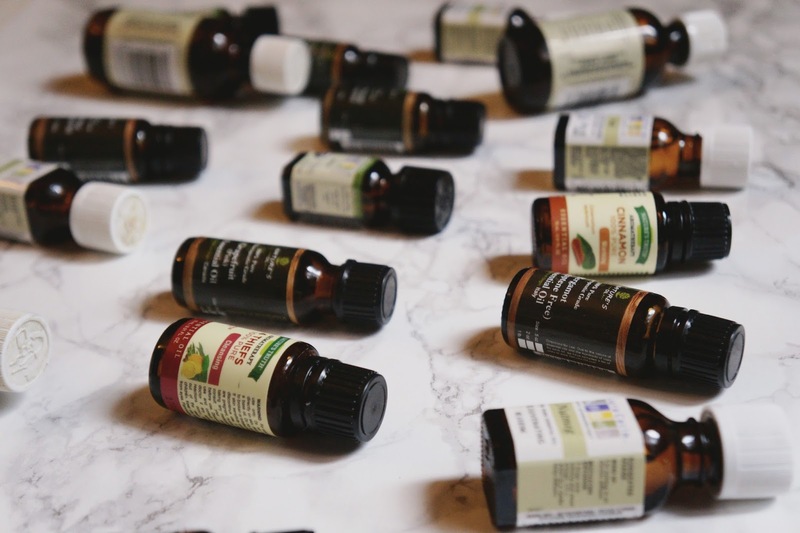 I first got into essential oils in 2014, when a brand sent me a few bottles of their top-selling essential oils to share on my blog. I was in heaven. I enjoyed them & used them frequently, always researching different ways to use them. My essential oil collection sat tucked away in a box in the bathroom cabinet for nearly a year. I forgot about them. Eventually, I went through my belongings & found them again. It was like finding a treasure hidden within my own possessions. I was positively thrilled. My tip: Keep essential oils within eyesight, not tucked away in a hidden box in a hidden drawer. When you can see your essential oils, you're more likely to use them. That's my experience anyway. It's all about essential oil storage. Now that I use them frequently, my boyfriend makes a habit out of it as well. We love it. We even include essential oils as an activity at parties. 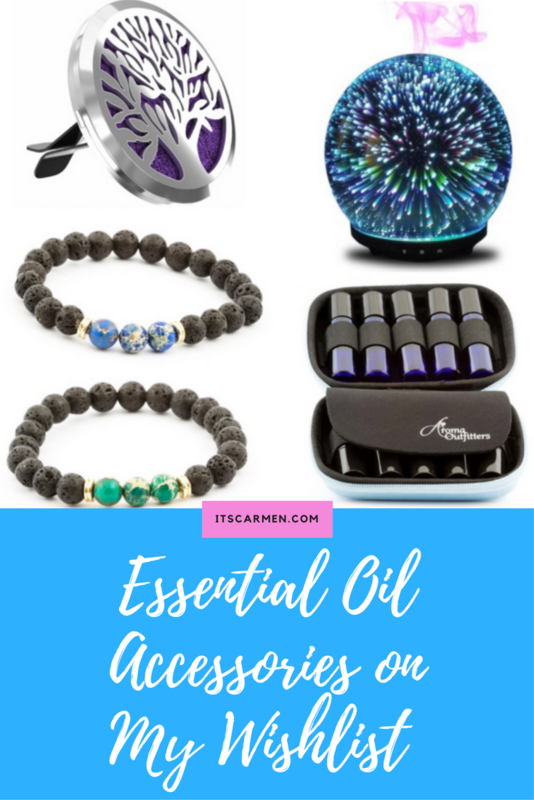 Aroma Outfitters has a few essential oil accessories I'd love to get my hands on. The 3D Gala Ultrasonic Glass Diffuser comes in multiple colors. I love the whole crystal ball vibe I'm getting. Imagine having this beauty in your room. I've been looking into car diffusers, but haven't made the leap yet. The Tree of Life Car Vent Diffuser Clip looks like a cute option that doesn't release any steam. Simply add a few drops as you go. The Lava stone diffuser bracelet is absolutely stunning. Although they have several color options, I can't choose between blue or green. What do you think? These are so gorgeous! I'm eyeing the 7 Piece Aromatherapy Set because it would make a convenient essential oil case for travel. It's compact, durable, & light. As a travel & lifestyle blogger, it's important that I can bring my favorite products in a convenient way without it hindering my travels. I've never tried any of these but they sound pretty great! I love essential oils! I really want the car clip! I want many of the same things as you do. I think I will order the car clip. That is on my short list. Clicked on this post to find gift ideas for some friends! I haven't tried essential oils yet but I think I'd find them to be super beneficial. I got a diffuser from a friend for my birthday months ago and just love it. I'm definitely interested in that Lava stone diffuser bracelet sounds so cool. Oh that sounds fantastic!! What kind of diffuser was it?